Fig. 12: Male part of the spadix. 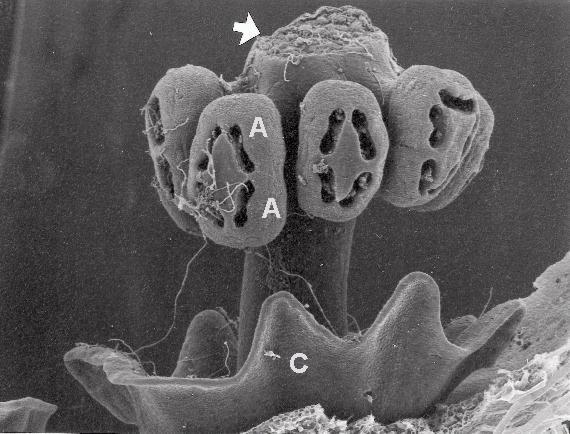 A = anthers, C = collar, arrow = terminal processus with dehiscion zone.